We’ve been waiting for this day: our little reader would finally become a big boy tablet — without having to resort to any sort of hackery. We knew it was coming and, as of now, owners of the Barnes & Noble Nook Color should be receiving notices that their devices are ready to drop those training wheels and run some proper apps. Flash web browsing, downloads, games, e-mail, it’s all here. Click on through for our impressions and a video of the update in action. Obviously the biggest addition here are the apps themselves, and sadly we’re not talking full Market access — nor access to any of the standard Google applications like Gmail or Maps. Barnes & Noble has its own set of libraries that software developers must include and use, providing the unified experience the company wants to bring to its little ecosphere, making the look and feel of apps jive with the rest of the system. As to which apps will be available, we saw a number of games, cooking helpers like Epicurious, and, yes, Angry Birds — though we weren’t able to get the latter to install successfully. To that end, frequently used apps slot right in next to your most recently read books and magazines, and browsing for them in the store is just like hunting for printed titles, even carrying over the same categories — or genres, as it were. The stock browser now includes Flash support and things perform reasonably well, but there was some noticeable lag at times when playing videos or scrolling about on pages with animations. Performance is generally good, but there are definitely some responsiveness issues and it’s safe to say your Nook won’t exactly be making any owners of dual-core Honeycomb tablets jealous when it comes to performance. The reading experience has also been improved, with proper page turning animations, important for those who need a little visual flair with their reading. Reading can now be done in landscape mode for anyone so inclined, while books can include videos and animations. No, you won’t be seeing a dramatic recreation of Jean Valjean stealing bread, but you might just find some how-to videos in cookbooks showing you how to properly activate your yeast.Some children’s books are also being updated, adding “read and play” functionality that mixes simple games and challenges in with the text and pictures. In one Dr. Seuss book we were presented a picture of multiple white dogs and were asked to tap on the one wearing roller skates. We found it.There are a number of other tweaks coming, too, including beta access into a new social portal. This lets you see what friends are reading, taunt them for their Twilight addiction, and even guiltily request to borrow a copy of Breaking Dawn. 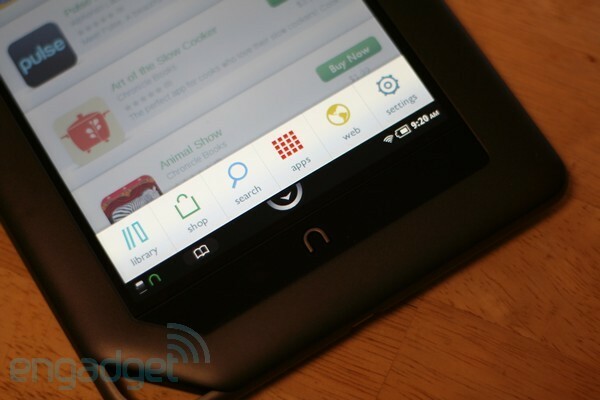 This has the potential to make the Nook’s lending functionality far more useful than it is now. Ultimately this latest update turns the $250 Nook Color into a fine entry-level tablet with a comfortable size, nice screen and a rather accessible price. 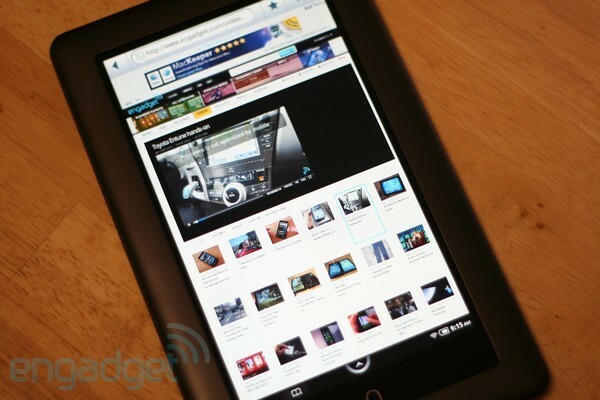 That said, this is still a far cry from the pure Android tablet experience that many enthusiasts want. In other words: this isn’t likely to stop those Nook hacks that we’ve come to know and love over the years.